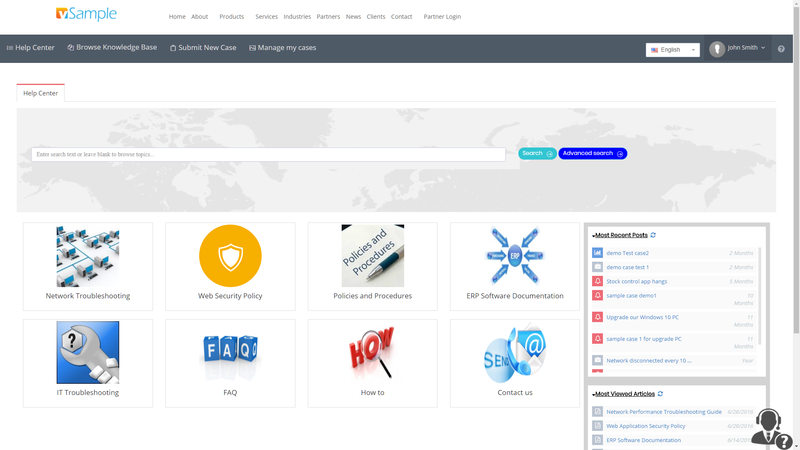 Smart knowledge base to empower customers for seamless self-service experience and quick access to resolution for known issues, FAQ, how-to-guides and troubleshooting information. Provide consistent customer experience across all channels. Customers can reach out to you via customer portal, email, phone, chat, social media, web forms. Collect customer feedback when servicing customers, analyze your performance and service level and achieve customer service excellence. GUIDE THEM THROUGH THE SERVICE RESOLUTION PROCESS. Smart knowledge base to empower agents with quick access to resolution for similar cases and troubleshooting information. Different views for cases that can help agents organize their work queues, focus on high priority, due, SLA status, product, or customer related cases. All case notes, mini customer profile, recent cases, customer assets, linked cases, tasks, activities, correspondences, attachments, SLA in one friendly case view. Agents can compose rich text responses, use response templates, paste KB links, update case attributes, check next best action to swiftly and efficiently respond to cases. 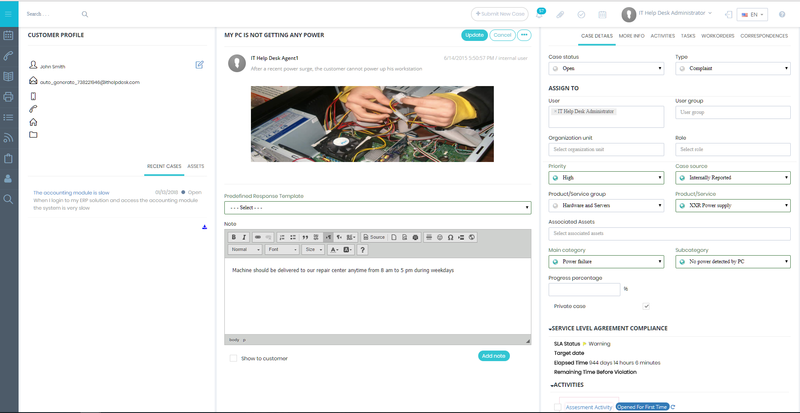 Collaborate with different teams and departments via case notes, email, or internal chat to get answers, approvals, and experts advise. 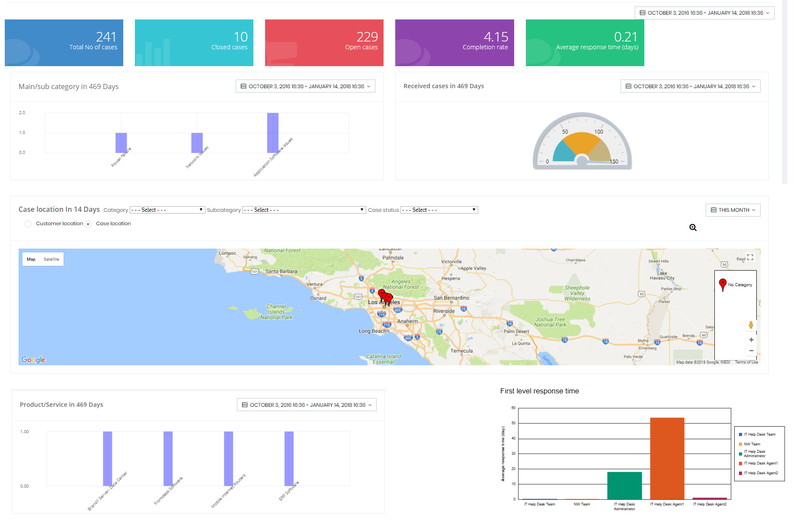 Prescriptive analytics and different dashboards to measure team performance, SLA, KPIs, and customer experience. Subject matter experts from different departments can provide answers and resolutions to open cases right on your service desk. BUILD A CUSTOMIZED PLATFORM FOR YOUR BUSINESS. Define your organization structure, your products and services, your case forms, correspondences templates, workflow, and SLA rules. Create automation rules to send notifications, update case properties, escalate cases, reassign cases, notify external systems to automate frequent activities, improve your service desk performance and wow your customers. Create user profiles, grant access rights and privileges on individual user basis, role based, department based. Define data scope levels and provide personalized experience on need-to-know basis. Provide controlled access to suppliers, vendors, auditors, and third parties involved in the case life cycle to streamline the process of servicing your customers end to end for better performance and efficient operations.